I just wanted to share with you all that I recently participated in a fun little feature with Jacques Levine (my favorite slipper makers) called "Slipper Saturday." They interviewed me about some of my traditions and indulgences on my favorite day of the week. To summarize: crosswords, croissants and champagne. Check out the full interview here on JL's blog. 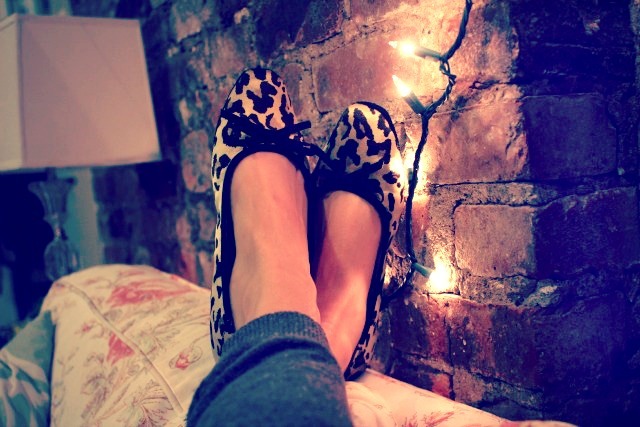 Last year I fell in love with their Bel Esprit slipper, a shearling-lined velvet number with a gold crest on the toe. This season JL was kind enough to send me my dear friend Inslee's namesake slipper, in this sassy satin leopard print - and I'm obsessed. Comfortable and chic, they're perfect for padding around my hardwood floors on the weekends or to slip on after a long day of work while pouring a little glass of red wine. They look hot & soft slippers!